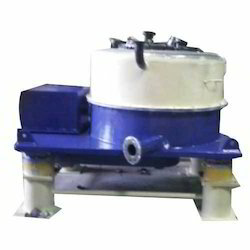 We are a leading Exporter of halar coated centrifuge machine from Pune, India. We are highly committed to clients by offering a superior range of Halar Coating Centrifuge Machines. These coating centrifuge machines offered by us are manufactured in strict compliance with the industry laid norms and standards. To ensure the same, we make use of premium quality machines and other components in the manufacturing process under the watch of quality controllers. Later post production, we check this array at our testing unit to ensure flawlessness. Looking for Halar Coated Centrifuge Machine ?